Durability’s mission is to extend the service life of infrastructure through corrosion avoidance and mitigation. We develop corrosion control solutions using the latest, proven and carefully vetted technologies, based on technical compliance with industry standards and cost optimization for specific structures, industries and conditions. 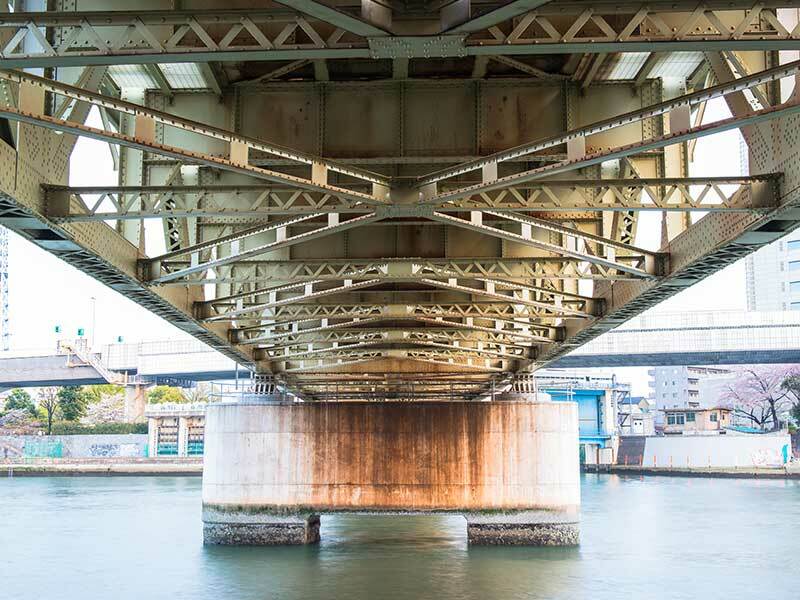 Our clients include owners and operators of infrastructure assets in energy, transportation, building envelope and other areas desiring to protect their investment against the damages caused by corrosion. Durability’s team is well qualified and includes Professional Corrosion Engineers, Corrosion Specialists, Material Scientists, Cathodic Protection Specialists and Technicians with significant experience and fully versed with the state of the art of corrosion detection, avoidance and mitigation. 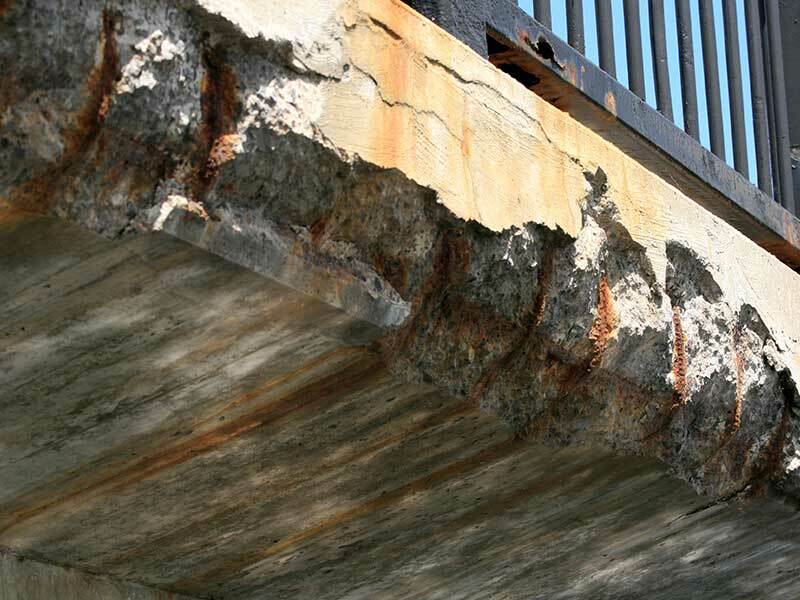 Corrosion of steel in concrete occurs when conditions in the concrete change from a protective environment to an environment which supports and promotes the corrosion process. Once the process begins it creates expansive iron oxides that exert tensile stresses on the surrounding concrete. Being weak in tension, the concrete develops cracks, delaminations and spalls resulting in damage. 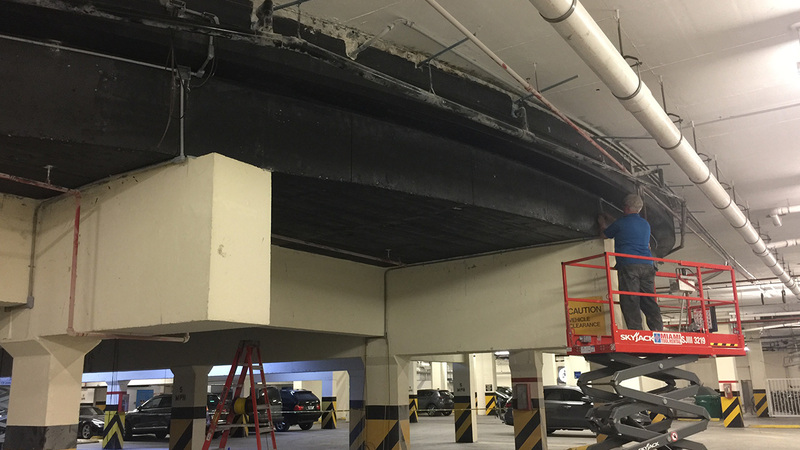 Over time corrosion will continue to deteriorate the concrete, leading to escalating repair costs and eventual replacement. Numerous options are available to address this destructive process but selecting the wrong strategy could result in undesirable side effects. It is therefore important to identify the root cause, so that the problem can be properly diagnosed and the best corrosion protection solution can be selected. Durability helps extend the service lives of assets through the development of a clear understanding of corrosion risk and current conditions, resulting in valid diagnoses and selection of best alternatives for optimum corrosion management. The best solution for corrosion protection cannot be established without a clear understanding of the factors causing the initiation and support of the corrosion process. Proper evaluation of these factors ultimately will lead to a solution that resolves the technical problem while also addressing economic considerations such as desired service life and life-cycle costs. Our team at Durability has solid and lengthy experience identifying and addressing corrosion issues in concrete, water and soils. We use state of the art test equipment and advanced tools and techniques to accurately diagnose the root cause and the extent of the corrosion problem and develop accurate prognostications of corrosion related damage and service life expectations. Awareness is the first step towards corrosion avoidance, protection, service life extension and cost savings. Let Durability’s experts join you and add value to your team by helping maximize the return on your investment through corrosion avoidance and mitigation. 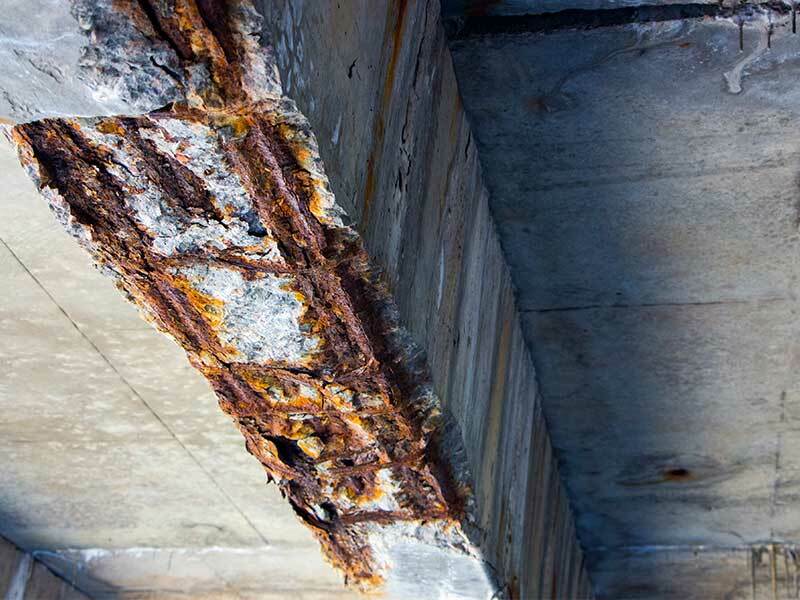 Development of corrosion mitigation solutions for concrete and metallic structures. Design of cathodic protection systems for reinforced concrete structures. Durability has accumulated valuable experience with every corrosion protection technology available in the marketplace today. Durability’s corrosion protection expertise covers a wide spectrum, from preventive measures, including concrete formulations, non-corrodible reinforcement and barriers against water and contaminants, to corrective measures, such as repair methods and materials, local galvanic anodes, migrating corrosion inhibitors, galvanic, impressed current and hybrid cathodic protection systems. 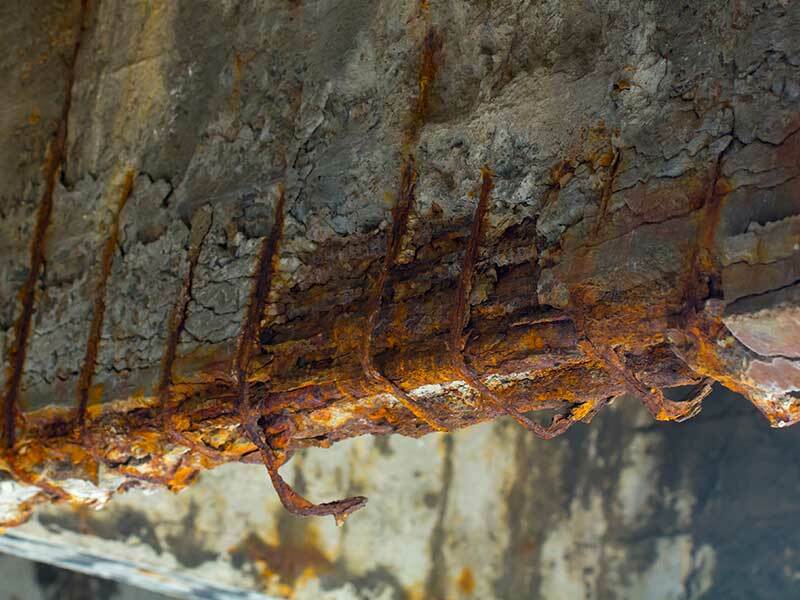 Corrosion is a time-based phenomenon that results in the gradual deterioration and ultimate destruction of reinforced concrete and metal structures. Prevention or mitigation solutions perform best if implemented at the most opportune time. Structures that have been exposed to the environment for some time, may already be in a state of active corrosion. Some may even show corrosion related damage such as discoloration, cracks delaminations and spalls. Strategies for these structures are focused more on mitigation of the active corrosion rather than prevention of further contamination. Understanding where the structure is in the corrosion life-cycle is paramount for the selection of the appropriate technology. Corrosion protection strategies for new construction incorporate methods and technologies designed to prevent contamination of the concrete with corrosive agents and to make the structure more resistant to corrosion once it is contaminated. These strategies make the concrete more robust and impervious to the factors that initiate corrosion. Understanding the risk factors also allows us to use corrosion prevention techniques at the best time, not too early and not too late. Durability is active in the industries and areas where we provide services. Our goal is to keep our current clients, future clients and friends informed about developments in our field of corrosion engineering and durability of infrastructure. We hope that this may be useful and valuable. Your feedback is welcome and much appreciated. To contact us click here. Durability’s assessment saves owners more than one million dollars. Durability’s assessment and design of conductive coating impressed current cathodic protection system saves owners more than one million dollars. Durability can be your resource for corrosion prevention, corrosion control and service life extension. From corrosion engineering consulting, testing and corrosion solutions, we have the tools and expertise to add value to your project and your team. For further information or any specific inquiries, please do not hesitate to contact us using the form below, email or call.